SEEfilm was created based on the Founders' vision to bring the cinema experience to the under served areas of the Northwest. As the rest of the country has seen an explosion of new stadium seating cinemas over the last 15 years, the Puget Sound area has been behind on this development. With its current population, projected growth, and lack of a modern cinema, Bremerton was a great fit. Along with the standard first run blockbuster, the cinema will be a vehicle for a variety of entertainment purposes and with new digital technology, the cinema can be used for a multitude of different viewing experiences. 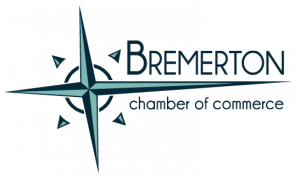 SEEfilm Bremerton Cinema will operate as a ''neighborhood'' theatre. We are proud and excited to be a part of the neighborhood renaissance and the movie-going public it serves in its ever-evolving downtown core. SEEfilm invites you to come enjoy a a great cinema experience.